The hashtag “#JeffHangsUp” popped up real quick. Yet #AnotherDramaticOverreaction from the crowd that’s making overreacting a regular occurrence. I knew before the show that they were planning to bombard us with calls to ask “#Where’sBob”, part of national top down effort to swamp Republicans as they return to their district. They are free to do so, but on my show we screen callers to make sure they stay on the topic we’re discussing, to make sure they’re not boring, to make sure they can make a concise point, to make sure (in this case) they’re not repeating previous questions and many other factors. We actually let most calls that come in, on air. The first caller, Lori, who we let on the air told the screener she wanted to ask Representative Thorpe when will he be scheduling a town hall meeting. As I said, we let her on the show knowing she was going to ask Rep. Thorpe this question. We didn’t stop her from asking the question. She asked the question on air. Representative Thorpe answered the question. I thanked the caller after Rep. Thorpe answered and like we do with most callers, we let her go after she asked the question and the guest answered it. That’s how it works on this show everyday folks. Apparently this was unacceptable for some callers so instead they decided to tell the call screener one thing as a topic of why they wanted to get on air and say something else on air. Ann, the second caller we decided to let on air, told the call screener she wanted to ask Representative Thorpe what his priorities are going forward. We let her on the air. What did she do? She asks Rep. Thorpe “I’m just calling to see if you had a chance to see what some of the other Republicans around the country are doing with their town halls, they’re actually listening to their constituents and wondering, you know, if you have time in your busy schedule to be on Jeff’s show, why you couldn’t speak to your constituents…(that’s when I cut her off). Notice the snide remark from Ann about Rep. Thorpe being on my show. 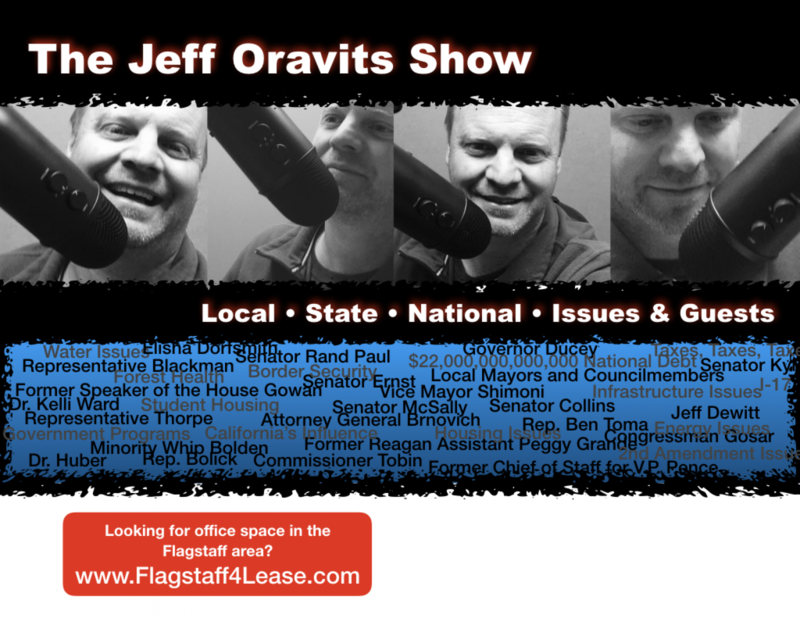 As if communicating with a large part of his district, the Jeff Oravits Show covers about 2/3 of his district, as if that’s a bad thing. Unbelievable! And Ann, did you really want to hear Rep. Thorpes answer anyway? Would you have listened? As I’ve done with Republicans and Conservatives calling my show (I’ve cut them off too), I cut her off. And I’ll cut people off as needed in the future. So I decided to ask Rep. Thorpe the question for her, the question she claimed to want to ask to the screener, and he answered it (entire show link below). Apparently this was unacceptable to those calling in who seemed to think my show exists so they can ask the same question over and over again. I have a call screener that screens the calls for a reason. I asked for questions for Rep. Thorpe, Lori, the first caller already asked this question, Rep Thorpe answered it. If you’re not happy with his answer take that up with him, I’m not going to bore my listeners with caller after caller repeating the same question that is obviously being blasted out as marching orders. I’m not running a town hall here folks and this is not a Legislative Committee Hearing. By the way, it was Representative Thorpe who asked to take calls on air. This is actually not the norm on the show and I give him credit for asking to open the lines. Normally I do not take calls during interviews with elected Representatives. For example, Republican Congressman Paul Gosar and Democrat Congressman Tom O’Halloran. I didn’t take calls during their time on the show so that I could get to as many of the questions I had for them that I thought my listeners would be interested in. And surprisingly, no nasty #hashtags! Another point here, by asking the same question over and over, by jamming up the phones with an objective of forcing an ideologically driven political motive, in this case #Where’sBob, you take away the ability of other callers from getting through to ask Rep. Thorpe other questions, questions we couldn’t get to because you seem to think your repetitive call is more important. This is no different from Bernie Sanders supporters blocking the road to the Trump Rally in Fountain Hills last year and preventing people from exercising their rights to political speech. This is a political tactic and a pathetic one at that! So go ahead and overreact. Do your hash tags, by the way #NobodyUsesHashtagsAnyMore. My guess is most that parroted the #hashtags and ridiculous comments never listened to the show and most likely will not read this post. They’re on a politically driven agenda and nothing can get in the way of that. Not even common sense! But you know what, feel free to call in today at 877-971-1051. I’ll take your call on the issue of #JeffHangsUp and maybe, if it’s a good call, I’ll send you a free coloring book in order to help you cope with how “shocked” you are over this horrible thing that’s occurred to you. And be warned, not everyone will get a coloring book because sometimes life’s just not fair. Feb 24th Show in entirety. Yes, it really is another “dramatic over-reaction.” 1) Thorpe’s staff tells his constituents that he doesn’t do town halls BECAUSE he does a lot of radio shows. 2) constituents try to ask questions on the radio shows and get cut off. 3) Right-wing radio show host claim his show is bombarded by some national left-wing plot.